By Azam Aris of theedgemalaysia.com | The Edge Malaysia – Thu, Aug 9, 2012 DO Malaysians deserve cheaper cars? After having to pay so much more than consumers in other countries for so many years to buy a car, the majority would say, "Yes! We want cheaper cars!" I remember in the early 1980s when my brother bought his first car — a Mazda 323, which only cost about RM17,000. The other options were the slightly-cheaper Nissan Sunny and the slightly pricier Ford Laser. A fresh graduate's salary then was RM1,200 to RM1,500 — not very much lower than today's starting pay — but he definitely had greater purchasing power. In addition, cheaper cars and houses — one could find a double-storey house for RM60,000 to RM80,000 in many areas in the Klang Valley then — meant lower loan commitments. The disposable income of a graduate was much higher. Those were the days when the nation was just an assembler of foreign cars. Later, we decided to venture into the unknown territory of heavy industries to become a car manufacturer, in a bid to emulate the economic quantum leap of Japan, South Korea and Taiwan. Proton, the national car maker, was incorporated in May 1983. By July 1985, along with the lesser-known Japanese car manufacturer Mitsubishi as a partner, the nation's pride — the Proton Saga — was launched at an entry level price of RM17,800. The price was competitive initially but the national car manufacturer needed to be protected so that it could gradually grow into a regional and, perhaps, global player. An almost sure way of protecting Proton was to increase the duties of its competitors, hence the introduction and imposition of a high excise and sales tax regime for locally assembled foreign cars and fully imported vehicles. Today, nearly 30 years after Proton was set up, the price of the equivalent of a Mazda 323 is RM100,000, a Ford Fiesta sedan goes for RM80,000, and the Nissan Sentra and Latio cost about RM90,000 — or nearly five times more. Proton's low-end Saga 1.3, priced at RM38,000, is among the cheapest cars in the country, but still costs more than double what it did when it was first launched. But wages have not doubled for many, let alone increased five-fold during the same period. Salaries have remained relatively low for the majority of the population, with about 70% of households in the country earning below RM3,000. As public transport — which is in the midst of an extensive upgrade — is still inadequate, many are still forced to buy a car. Dollar for dollar, the prices they have to pay are among the highest in the world. A Toyota Camry 2.5 litre that costs about US$30,000 (RM90,000) in the US is priced at about RM182,000 here. A Volkswagen Golf GTI costs RM120,000 in Germany, but RM200,000 here. The sporty Peugeot RCZ 1.6 turbo goes for £21,000 (RM102,000) in the UK, compared with RM223,000 here. Excise duties for cars can be as high as 105%. On top of that, there is an average sales tax of 10%. According to one estimate, if a Malaysian consumer pays RM100,000 for a car, as much RM55,000 goes to paying for various duties. So, it is not surprising that Malaysians spend a substantial portion of their disposable income on monthly car instalments and maintenance. That is a high price to pay — 20% of the RM581 billion in household debt is due to cars, the second highest percentage after housing loans. It was thus not surprising that when the opposition coalition, led by PKR, proposed a massive reduction in excise duties, many supported the move, which would result in lower car prices, lower monthly instalments and higher disposable income. Ruling party members called it an election gimmick and warned that such a move would result in the loss of RM7 billion in revenue, which is much needed by the government as it has been running a budget deficit for the last 14 years. Proton will lose a lot of money, a lot of jobs will be lost and the second-hand car market will stall, the critics claim. In short, they say, the proposal will not be viable and cannot be implemented. Yes, any reduction or removal of duties, if not replaced with new or higher taxes elsewhere, will directly decrease the government's revenue. However, all is not lost if a cut in duties results in higher disposable income for many. Let us assume that of the RM7 billion in revenue, 50% is cut. That would mean RM3.5 billion would be put back into the pockets of consumers, which they would likely spend and plough back into the economy. In an economy that relies on domestic consumption, the multiplier effect of RM3.5 billion would be immense. The loss in revenue can also be compensated through a further revamp of the approved permit (AP) system for imported cars, which has been consistently abused in the past. 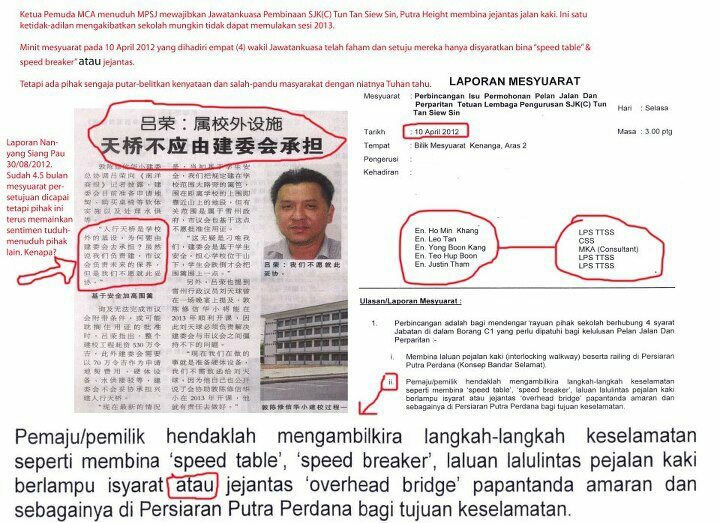 AP documents, which cost nothing, were traded among bumiputera and non-bumiputera car dealers for up to RM40,000 each. Now, the government has imposed a RM10,000 fee for each AP but a further increase would not hurt those who can afford imported vehicles — the rich and upper middle class. An open bidding system that has been recommended would give the government higher revenue. As for Proton, it will not be on the losing end as the prices of its products will also drop and remain the cheapest in the country. Cheaper cars mean a bigger market. That will also get Proton ready to compete in a more liberalised domestic, regional and international market. The message to Proton should be that if it cannot compete domestically and internationally after 30 years of protection, then it can never be ready to compete even if it continues to enjoy such a privilege for many more years. Many people feel a gradual removal of duties is doable immediately and this will allow the used car market to adjust accordingly. In the past few weeks, there has been a lot of debate on the pros and cons of this issue. But after all is said and done, the one inescapable conclusion is that we do deserve cheaper cars, plain and simple. Azam Aris is managing editor at The Edge. This story appeared in The Edge on Aug 6, 2012. 1. What are the Selangor State Government’s intentions in the restructuring of the water industry in Selangor? o The Selangor State Government intends to restructure the water services industry in Selangor in a holistic manner, ensuring that the four concession companies are consolidated into one entity, which would eventually hold the operating license to manage the water treatment and water distribution in the state of Selangor. o This single operator would be a company under the Selangor State Government. o The Selangor State Governments intends to increase efficiency of the water industry, reduce tariffs by up to 24% in the long run, and to maintain the free water for the first 20m3 policy. 2. How does this fit into the Federal Government’s plans? o The Water Services Industry Act (WSIA) 2006 was passed in Parliament with the intention of renationalizing all water assets in the country. o The plan is to eventually have all water-related assets transferred back to the Federal Government through its nominated agency Pengurusan Aset Air Berhad (PAAB). o The Selangor State Government owns 70% of the State’s water assets, whilst the remaining 30% belongs to privatized concession companies. o If successful, all Selangor water assets will be owned by the Federal Government, but license to operate given to another entity. 3. What is the Selangor State Government’s proposal for a holistic restructuring of the water industry? o After this, the Selangor Government would transfer RM4.6 billion worth of assets from the concession companies and RM9.7 billion worth of its own State water assets to PAAB. o The Selangor Government would then receive RM14.3 billion in cash and bonds from the Federal Government from the sale of water-related assets. o A special-purpose vehicle would be set up as a corporate entity to consolidate all the four companies together. The State Government owns shares in some of the companies and hence by virtue of these shares would be able to exercise significant decision-making in the consolidation. o The special-purpose vehicle would apply for an operating license for the water industry in Selangor, leasing the water assets now owned by PAAB to operate at the State level. 4. Why is it important for the restructuring to take place as quickly as possible? o It is important to expedite the process of restructuring because under the concession agreement, Syabas can increase water tariffs by up to 70%. o Even if the Federal Government, after giving the operating license back to Syabas (which the Selangor State opposes), decides not to increase the tariffs, the difference will be borne by the State Government and in turn by the people of Selangor. 5. What did the Federal Government do to sabotage the Selangor State Government’s plans? o Two days before the Selangor State Government’s offer to the concession companies expired, the Federal Government through its regulatory body Suruhanjaya Pengurusan Air Negara (SPAN) announced that it would bypass the State Government to negotiate directly with concession companies. o Their offers to the concession companies would obviously be a sabotage since they would offer higher prices to the companies, than what the State was offering. o The Federal Government’s excuse was that the State Government was intentionally delaying the process of negotiation, when in fact the State Government has always provided the Federal Government information every step of the way. o All four concession companies rejected the offer made by the Selangor State Government, as expected. 6. Why is the Federal Government’s offer to the concession companies considered a bailout of its Barisan Nasional cronies? o The Federal Government, in paying a hefty amount of money to the concession companies beyond what is reasonable, is effectively bailing out the concession companies from the great debts that they are facing presently. o After the WSIA 2006 was signed, accounts show that the concession companies made out huge dividends to their shareholders. These large dividends are unacceptable, since the companies are already in debt. o The CEO of Puncak Niaga was paid RM5.1 million in 2007, and monthly management fee of RM700,000. If the company is in debt, why pay such a high salary to its CEO? 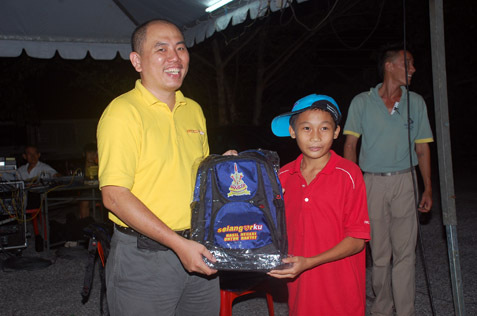 o The Federal Government continues to support its Barisan Nasional crony companies. Syabas sponsors the UMNO General Assembly annually, including in 2009. 7. 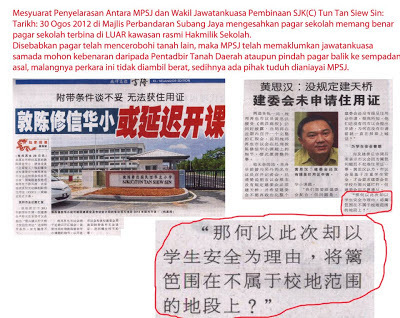 Why must the Selangor State Government be included in the process of restructuring of the water industry? o Clause 191(4) and Clause 191(7) of the Water Services Industry Act (WSIA) require that the State Government must be involved in the process of negotiation, as it is a counterparty to the concession agreement signed with the concession companies. o In a Cabinet decision dated 16th January 2008, it was agreed that the State Government, through its State subsidiary company, Kumpulan Darul Ehsan Berhad (KDEB), would take the lead in negotiating on the restructuring process of the water industry. o This Cabinet decision has not been revoked, nor any other Cabinet decision made reversing it. Hence, the State still has to be included. Total exclusion is tantamount to being illegal. o The Selangor State Government by law still has full rights over the State’s raw water. Excluding the State Government is not a wise or practical idea, as it would need to be involved in the eventual outcome of the water industry. o More than 70% of the state’s water assets are still owned by the Selangor State Government, including those that are being managed by the concession companies now. o Under the concession agreements, all water-related assets are to be transferred back to the Selangor State Government. If the companies transfer these back to the Federal Government, it would renege on the agreement to have the assets transferred back to the State Government. 8. What is the Selangor State Government asking of the Federal Government? o The Selangor State Government demands for the Federal Government to terminate the concession agreement with Syabas, based on its mismanagement, corrupt practices, breach of contract and inefficient delivery of services to the people of Selangor, Kuala Lumpur and Putrajaya. o The Selangor State Government demands that the Federal Government to exercise its powers under the WSIA to do so. o The Selangor State Government is demanding that it continues to take the lead in the negotiations of water restructuring with concession companies, according to the earlier Cabinet decision and along with the spirit of the WSIA. o The Selangor State Government is demanding that the operating license is not given back to Syabas but to give it to the State Government. 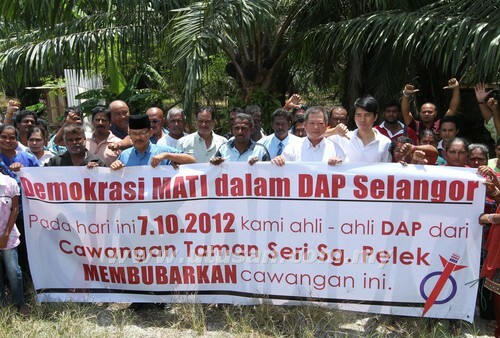 o The Selangor State Government demands for reasonable action to be taken by the Federal Government. If both Governments were to co-operate, this outstanding issue will be resolved more quickly without it becoming a political issue. 9. What options are available for the Selangor State Government, if the situation reaches a stalemate? o The Selangor Government has met with the Ministry of Energy, Water and Communications and the situation seems to have met with a stalemate. o The Selangor State Government has submitted its proposal for the Minister to consider carefully, in the holistic restructuring of the state’s water industry and awaits its feedback. o If all else fails, the Selangor State Government will have no choice but to take legal action against the Federal Government. ADUN Kampung Tunku state assemblyman Lau Weng San’s service centre organised a Lantern Festival at the open car park next to former Ruby cinema, Jalan 21/19 SEA Park, Petaling Jaya on Saturday October 6, 2012. About 600 people turned up at the event to enjoy the various activities lined-up which included line dance performance and a lantern riddle contest. 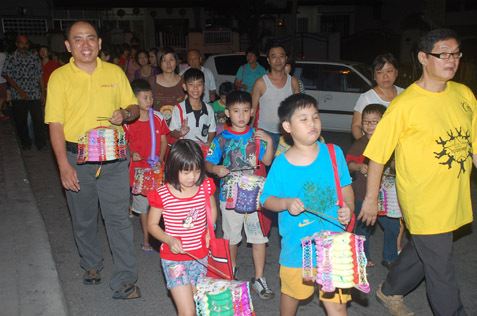 Host Lau Weng San led a lantern walkabout with the children and parents carrying colourful candle-lit paper lanterns. 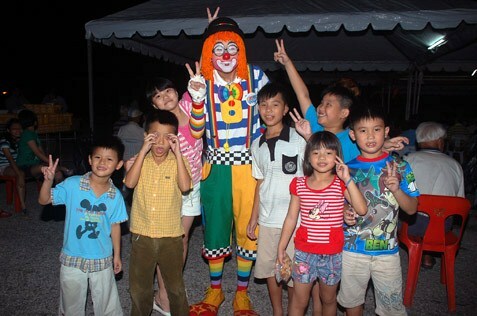 “This event is held to bring the surrounding community together to celebrate the Mid-Autumn festival that show harmony and unity, especially the children who otherwise would have stay home play online games,” said Lau who used his state constituency allocation to fund the event. Lau thanked the developer SEA Housing Corp. for use of the car park for the community event at no cost to his office. 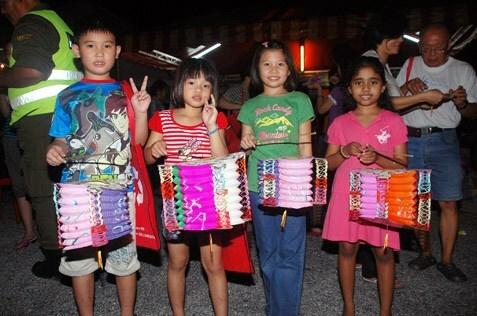 MBPJ councillor (zone 19) Jeyaseelen said the event was held to foster closer rapport and strengthen unity among the multi-racial residents. 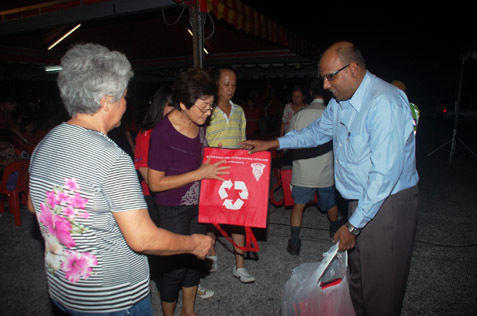 He later handed out free reusable bags cycle bags to the residents to encourage them to use the bags every time they go shopping. 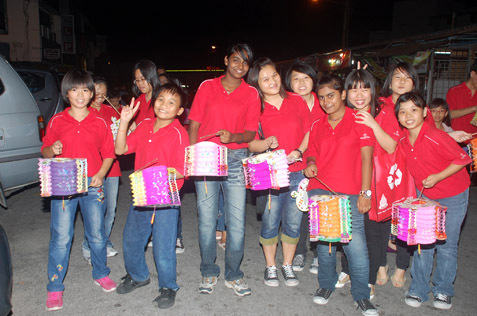 The event brought smiles and cheers to 35 children from Prudential Children Welfare Home. They were seen enjoying the fun of eating mooncakes and lighting the lanterns and walking around the streets during the lantern walkabout. 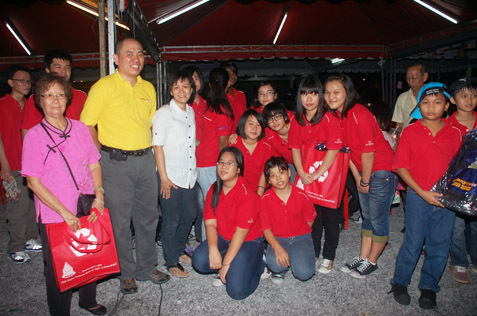 Also present at the event were representatives from Rukun Tetagga Seksyen 20A Paramount Garden and Rukun Tetangga Seksyen 21 Sea Park. 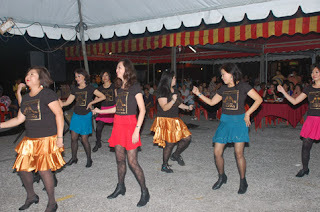 Guests were entertained by a line dance group and treated to mooncakes and food packed in Styrofoam box of Hainanese chicken rice, nasi lemak ayam goreng and Bak Chang (glutinous rice dumpling). 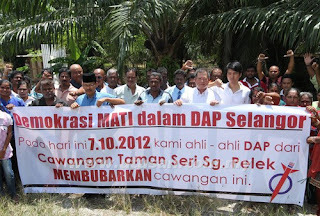 As DAP Selangor Organizing Secretary, I would like to clarify a statement made by a sacked DAP member named Tan Tuan Tat in Sungai Pelek, Sepang two days ago that a group of 400 members have resigned from DAP and seven DAP branches are already dissolved. Under Clause 20 of the DAP Constitution, the CEC has the sole right to establish and dissolve any branches nationwide in which there are due procedure to be followed by the CEC in dissolving any DAP branches. Tan Tuan Tat also mentioned that there are 400 members resigning from DAP. As of today, DAP Selangor headquarters has only received resignation letter from Taman Seri Sungai Pelek branch vice chairman, S.M. Manohar a/l Sellan dated 20th September 2012. 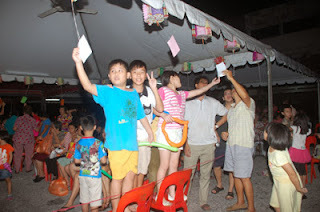 Tan Tuan Tat also mentioned that seven DAP branches in Sungai Pelek will be dissolved. This is entirely untrue as Tan Tuan Tat is only the chairman of Taman Seri Sungai Pelek branch and he has no right to announce the dissolution of any DAP branches. The remaining six branches are yet to be registered with Registrar of Societies (ROS) as we suspect that there are phantom members in these branches which is the reason of him sacked from the DAP. Meanwhile, DAP Selangor has yet to receive the remaining 398 resignation letters. Some members from that branch has already contacted DAP Selangor expressing their will to stay with DAP and have no intention to resign from the party. Some mainstream media also highlighted that Tan Tuan Tat was an active DAP member who has been with the party for the past 18 years. 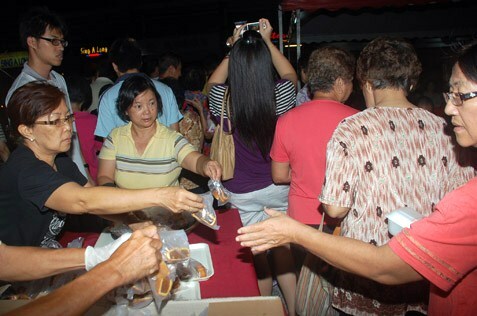 I would like to clarify that Tan Tuan Tat’s branch was only formed in 2008. Although Tan Tuan Tat was once DAP Selangor Publicity Secretary in 1996/1997, he left his position in 1997 and has since then been a dormant member until after the March 8th political tsunami. TV3 also interviewed a person named Mahful Wahid, who claimed himself as DAP member. A check with DAP membership data in Selangor shows that there is no such name at all. Tan Tuan Tat should stop making excuses for his expulsion from the party. He should also stop fabricating lies to cover his own weaknesses. All these accusations will only make him look bad in the eyes of the party members and public.